If Thanksgiving Day is here already, that means Christmas is a scant 4 weeks away and the holiday gift buying season jumps off this weekend with Black Friday sales quickly followed by Cyber-Monday. 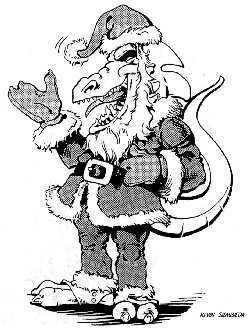 Please don’t forget about Palladium Books® this holiday season. We’ve got sales too. Only 4 Weeks till Christmas – Order your Palladium Christmas Surprise Package NOW! The Rifter® #82 is at the printer, but we have not gotten the ship date confirmed. We know our printer is slammed with work and on an extended turnaround schedule, but we still anticipate The Rifter® #82 to ship next week. You can see a FREE Sneak Preview of it on DriveThruRPG right now. The Rifts® Bestiary Volume One, In the Face of Death™ for Dead Reign®, The Rifts® Bestiary™ Volume Two, Garden of the Gods™, Chaos Earth® Psychic Scream™, Rifts® Antarctica, The Rifter® #83 and #84, The Disavowed and much more is in the pipeline and being worked on. Plus a couple of surprises. But this is Thanksgiving Weekend so we are going to try to keep this update short. New: Dead Reign® Paper Miniatures Volume One: Survivors is the first in a series of new paper miniatures from Michael Leonard. There are also paper miniatures for Heroes Unlimited™, Palladium Fantasy® and Rifts®. The Rifter® #82 FREE Sneak Preview gives you a look at the Pyromancer O.C.C. and Pyromancy magic, some Rifts® Bestiary monsters, HU heroes, bad guys, Nightbane®, and Erick Wujcik remembered. The holidays are upon us and I’m feeling cheerful and positive. We all are. 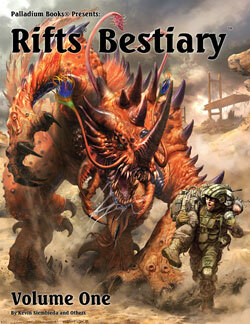 The Rifts® Bestiary Volume One is one thing I’m thankful and excited about. It is just so good. I think you are going to go wild over it. Not just monsters to fight and cool critters for pets and riding animals, but all kinds of ideas and fodder for adventures. Adventures in cities as well as the wilderness. There’s the Ghost Allosaurus, Canadian Duckbill, Burrower Bruin, Cerebro-Scrambler, Deathspringer, Dragon Wasp, Frost Spider, Impact Beetle, Riding Lizard, and so many others, new and old. All updated. I can’t wait until we can announce it is at the printer. Soon, darn it, soon. I know, it’s taking too long, but we really want these Bestiaries to be special. You can see a few of the “beasts” appearing in the Rifts® Bestiary Volume One in the FREE Sneak Preview of The Rifter® #82 (at the printer). The preview is available on DriveThruRPG.com right now. 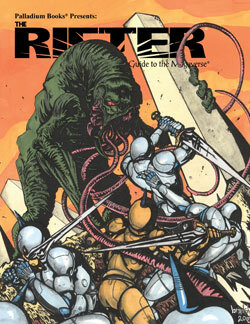 Btw, The Rifter® #82 is a great issue and should be coming back from the printer soon. I know you are disappointed that the two Bestiary titles are not done yet; us too, especially me, but you’ll love ‘em. 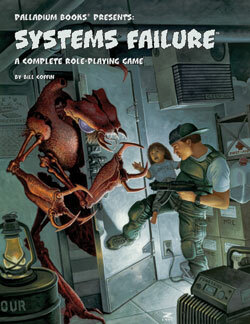 I’m also thankful and delighted to see the rampant excitement over the re-release of three, fan-fave books that have been out of print for a decade or two, the Systems Failure™ RPG (alien invasion), Boxed Nightmares™ (for BTS 1st Edition rules, six scary adventures easily adapted to BTS, 2nd Ed. 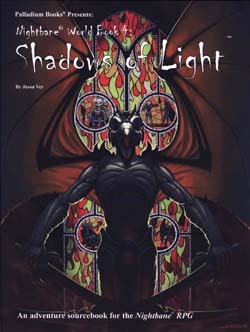 ), and the Nightbane® Shadows of Light™ sourcebook, all available now, but only for the holidays. Folks have been scooping them up like crazy. Awesome. I think we have at least two other fun surprises coming before Christmas. For us in the United States of America, this Thursday, November 22, is our Thanksgiving Day. A day of reflection, getting together with loved ones, and giving thanks. I, for one, have much to be thankful for, starting with a wonderful life and a wealth of friends that makes me blush when I think about it. Sure there have been hard times, losses and challenges over the years, with more to come. Life is a journey. There are good times and bad, but it is always made easier when you have loving people at your side to help you on that journey. I love you all. For a variety of reasons, I never really knew most of my blood relatives, so I built my own family out of the friends and astonishing array of wonderful people I have met over the decades, and continue to meet. As you should know by now, that includes you. I consider our fans to be much more than mere customers. You are part of my extended family. The Palladium Family. The Christmas Surprise Package offer and putting our hearts and souls into every game product we do are just two ways we try to show you our love and appreciation. Thank you for your support and please enjoy a Thanksgiving Day feast with loved ones and a joyous holiday season. C.A. in Applegate, California, writes: My favorite time of the year is filling out one of these Surprise Package orders. I love it every Christmas. E.W. in Belmont, New Hampshire, writes: Thank you for making great games. 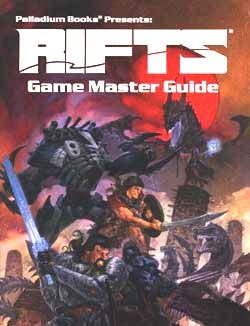 I have been playing Rifts® since 1990 and Palladium Fantasy® shortly after. I have never been disappointed. J.C. in Lebanon, Indiana, writes, in part: “... Archie needs more love. He is a great villain. I would love to see more stuff with him and Titan Robotics. 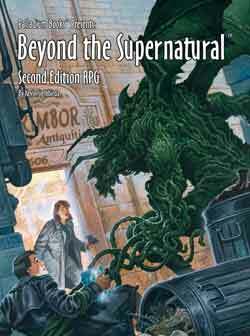 J.C. in Sarasota, Florida, writes: The Palladium Fantasy RPG® and Beyond the Supernatural™ have always been my top two favorites, with Rifts® and Heroes Unlimited™ a close second. R.K. in Sault Sainte Marie, Michigan, writes: Thank you for the great selection in my first Christmas Grab Bag. A.L. in Glenburn, Maine, writes: Thanks for doing this. B.W. in Farmington, Missouri, writes: This will be the 2nd X-Mas Surprise Package I’m getting from you all. I loved the first one and am looking forward to seeing what’s in the second. A great way to help rebuild my collection. B.B. in Fargo, North Dakota, writes, in part: ... Question: If I pre-order a book, is it charged right away or when it goes to print? I would like to start pre-ordering so I don’t miss out on releases, but don’t want to get charged until the item is ready to go. 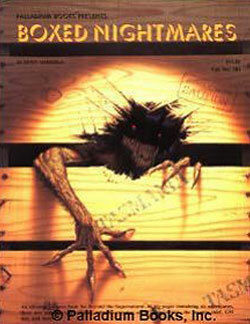 Keep those great books coming and looking forward to the Rifts® Bestiary books. [A great question, B.B., thank you for asking it. No, you do NOT get charged for pre-orders until AFTER the book goes to the printer. When you pre-order, we make a special file with your pre-order request. Then a few weeks before the book is to arrive from the printer, we email you and everyone in the file to let you know that the book will soon be available, AND that you need to resubmit your order and credit card info for it. We do NOT keep credit card data on file for security reasons. However, you will pay for shipping for each item as it comes out. Sorry. Media Mail is the least expensive way to ship. So if you placed pre-orders for titles like Rifts® Bestiary™ Volume Two, Garden of the Gods™, The Disavowed™, etc., that are NOT at the printer and which may be coming out weeks or months after a book is announced, they go into that file and you will be notified when each becomes available to ship. There is one exception, we charge for pre-orders when the item is at the printer and we know the book is coming out within 2-4 weeks of when the pre-order is placed. For example, we have been charging for Systems Failure™ RPG, Boxed Nightmares® and Nightbane® Shadows of Light™ because they were all at the printer and we knew they would ship within 2 weeks of our making them available in the online store. The Rifter® #82 – November release – special Erick Wujcik tribute + source material for Rifts® Chaos Earth® (Pyromancer and more), Nightbane®, Rifts® and more. Rifts® Bestiary™, Volume One – December release. Rifts® Bestiary™, Volume Two – End of December release. 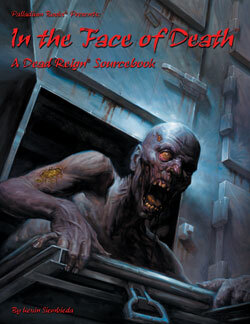 In the Face of Death™, Dead Reign® Sourcebook – First Quarter release. The Rifter® #83 – First Quarter release.